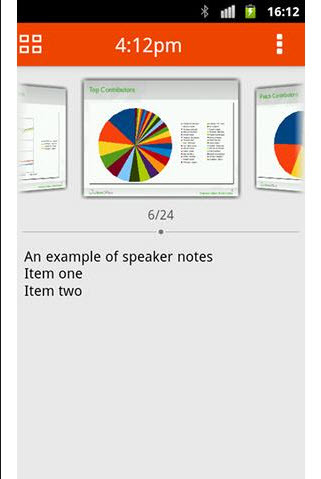 LibreOffice Impress Remote is an app to interact with your slideshow presentation including slide previews, speaker notes, and more from your Android device. This app can now control presentations on Linux, OS X, and Windows. communicates with a desktop via Bluetooth. shows slide previews and speaker notes.